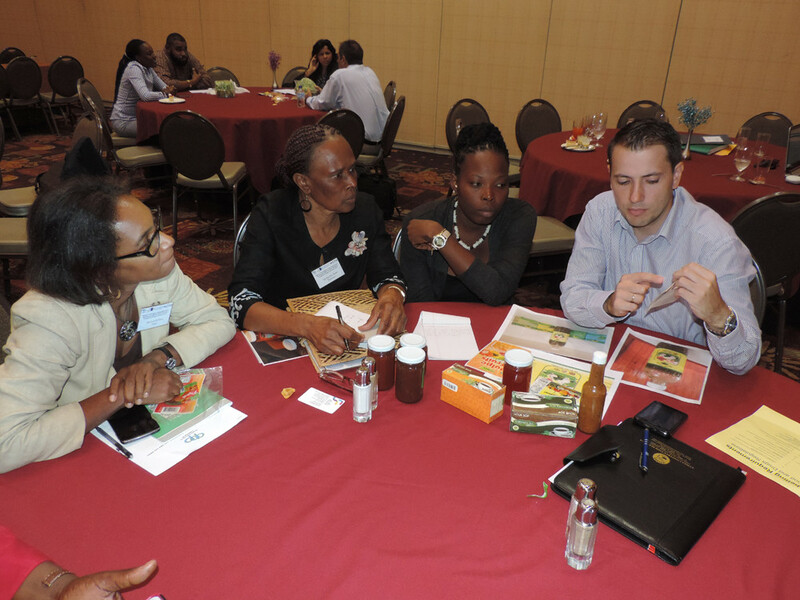 PORT-OF-SPAIN, Trinidad and Tobago, March 24th 2016: Agribusiness Entrepreneurs from around the Caribbean are heading back home from a three-day workshop armed and excited about growing their businesses. Thirty-nine agribusiness owners representing 15 Caribbean countries took part in the Product Development, Marketing, Food Safety and GMP for SMEs Workshop in Port-of-Spain in Trinidad & Tobago last week. The workshop was put on by the Inter-American Institute for Co-operation on Agriculture (IICA) and the Caribbean Agricultural Research and Development Institute (CARDI) as part of the European Union’s (EU) Intra-ACP Agricultural Policy Programme (APP) with a focus on the Caribbean and the Pacific Regions, funded by the 10th European Development Fund (EDF). “The EU’s interest is long term, knowing that trade and specialization will contribute to higher living standards in both regions,” said Ulrich Thiessen, program manager for the Delegation of the European Union to Trinidad & Tobago in his opening remarks. This workshop is just one part of one project that falls under the action of the 10th EDF. The goals of the action are to promote the development of small holders in agriculture through integration into local, national, regional and global markets. 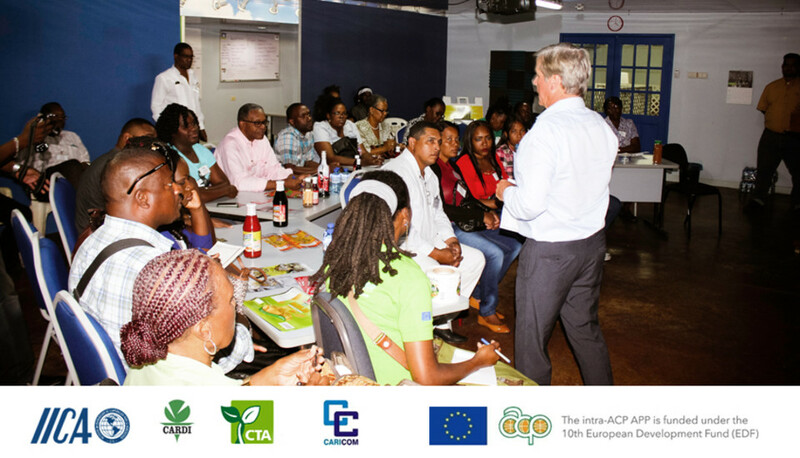 Despite vast nature of the action however, the workshop itself was designed to equip small, up and coming Caribbean entrepreneurs to prepare them to take their uniquely Caribbean products to wider markets. Sessions addressed important issues such as marketing, labelling and food safety, as well as fostering networking amongst Caribbean business owners and food industry professionals. Over the three days, participants were able to hear from experts and get advice about their particular products. They viewed samples of innovative packaging and attractive labelling and together, experts and participants toured a leading Caribbean supermarket chain to see first-hand what products look like that are getting to store shelves and ultimately to the consumer. Shivangi Mahabali is a bee keeper from Suriname, producing and marketing natural honey. She was selected to attend the workshop, which had a specific focus on youth and woman business owners, and was pleased with what she learned. Ms. Mahabali was also excited about meeting other beekeepers. She didn’t know anyone in the industry in her own country but met several beekeepers from around the Caribbean while at the conference. The objective of the overall Agricultural Policy Programme in the Caribbean is to increase the capability of smallholder agriculture and agribusinesses in the region, with the end goal of tackling poverty. One way to do that is by limiting the need for expensive, imported food in the Caribbean. This can be done by increasing the availability of quality, homegrown, safe and affordable products as well as making Caribbean products ready for wider markets by meeting international standards for food safety and increased expectations for packaging and labelling.